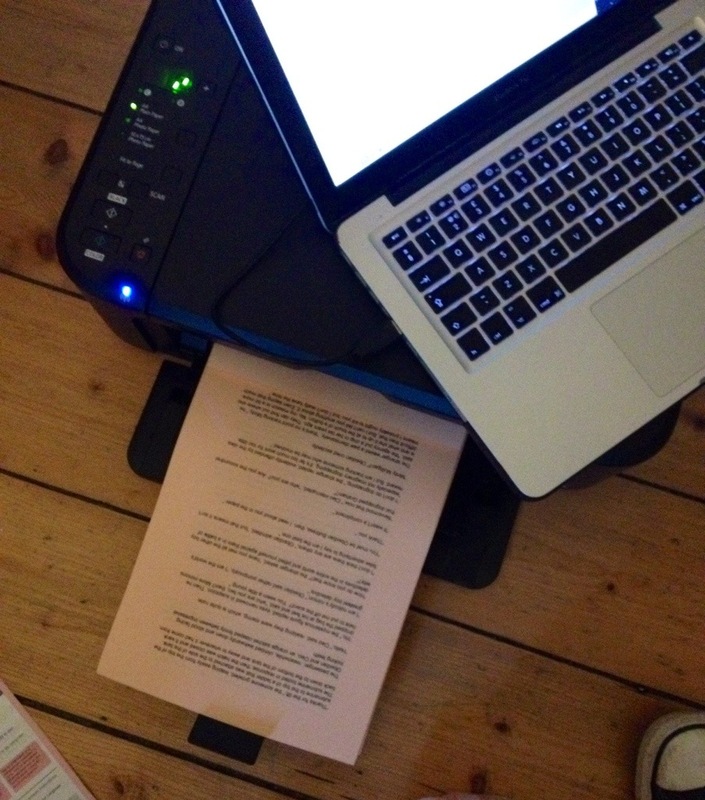 I spent my last post bemoaning the fact that my printer was behaving like a total helmet, thus preventing me from printing out my latest magnum opus (or 26,000 word nonsense for 8 year olds, if you want to be pedantic). Now, it’s quite often hard to know who is reading this blog (assuming anyone still is aside from the spam bots, who are as vocal as ever – shout out for my home boy Ben Sherman Shirts, Great Prices). Since I finished the initial ‘write 12 Books in 12 Months’ thing, the site has been a strange mixture of stuff aimed readers, stuff aimed at writers and amateurish attempts at photography. But the ‘my printer needs to stop being an arsepiece’ post provoked the most tangible response I’ve ever had, namely that one of my best pals got in touch after reading it to ask if I want a new printer for my birthday next week. What a result! I swithered about this for approximately ten minutes before deciding that the post, rather than a childish rant, must subconsciously have been my equivalent of Amanda Palmer’s TED talk about asking for help – and replied saying YESPLEASETHANKYOU. The upshot of this is that I have now printed out a nearly readable first draft of a bookish piece of writing I’ve been working on for more than a year, and I’ve even started scribbling edits on it (using a schmancy Parker pen gifted to me by another friend. Thinking about it, I’m pretty lucky that they all humour me in this way…). My aim now is to finish these scribbles and transcribe them back into the word doc before I head south for the Birmingham Beer Bash this Thursday. This timeframe is probably slightly over optimistic, given that this morning I put my alarm on the other side of the room to make myself get up at 7am to edit before work only to get up, switch the alarm off, and go back to bed again. Oops. Still, last time I blogged I was despairing of even getting this far without an expensive trip to an Internet cafe, so maybe the mere act of writing this statement of intent will be enough to make it happen. After all, blogging can change your life. It says so in the header!